The area of North Dalmatia stretches from the Kvarner Riviera down to Split, Croatia’s largest coastal city. Sometimes overlooked as a holiday destination in favour of the more famous resorts and islands further along the coast, the North Dalmatian region has much to offer visitors. 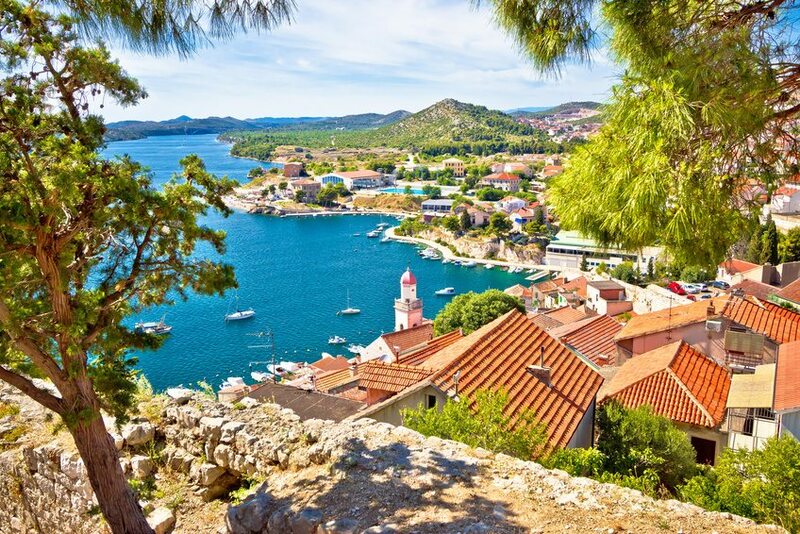 The area contains the beautiful coastal town of Zadar, the fascinating Sibenik and the gorgeous Trogir, all of which which are lovely to base yourself in. Pag island is also in this part of Croatia – an island famous for its sheep’s cheese, lace making and for the party destination of Novalja! Finally, Krka National Park is a must when visiting Croatia! With its wonderful Old Town, Zadar is a great place to visit! A popular holiday resort, well placed for a relaxing vacation whilst being close to the sights of nearby towns and cities. As mentioned, the island of Pag is also located in North Dalmatia. For something a little different, pay a visit to the Nin Saltworks Museum to learn more about traditional sea salt production.